With a balance of styles between 19th and 21st centuries, a new identity of Ratafia 1842 is born. This is a traditional liquor made from the firsts ratafia’s recipes found in Catalonia by Confraria de la Ratafia, written in Santa Coloma de Farners town by F. Rosquellas in 1842. The client wants to update 2 labels of spirits. Commonalities were detected and we propose to make one line. It's accepted and drives him to make a 3rd spirit based on an ancient recipe from the same 1842 year found in the municipal archive. 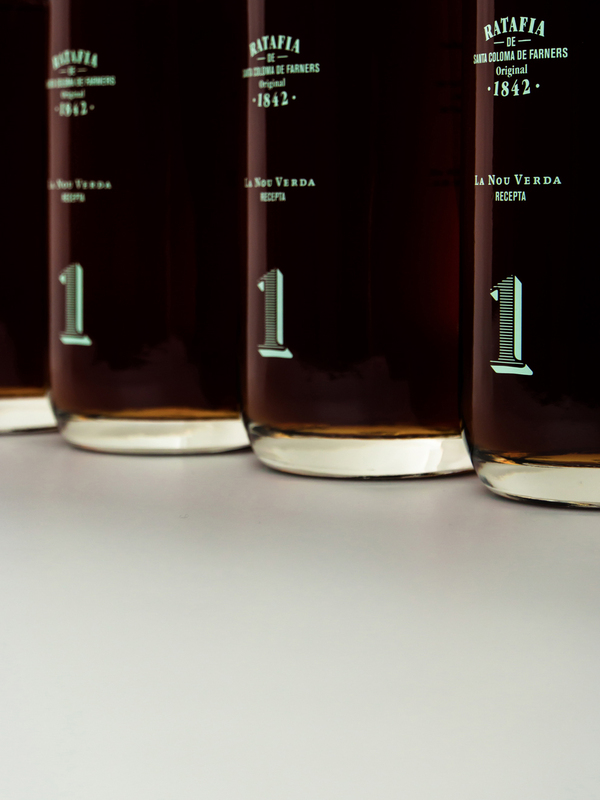 The 3 versions of Ratafia 1842 were born: Classic, Green Walnut and Eight "Porrons”. Product differentiation is emphasized: ancient recipes (from 1842). Numbers “1”, “8”, “4” and “2” surround the bottle and this fact allows play with them rotating one or placing four side by side to see the most value of this liquor, the date of origin of the recipe: 1842. 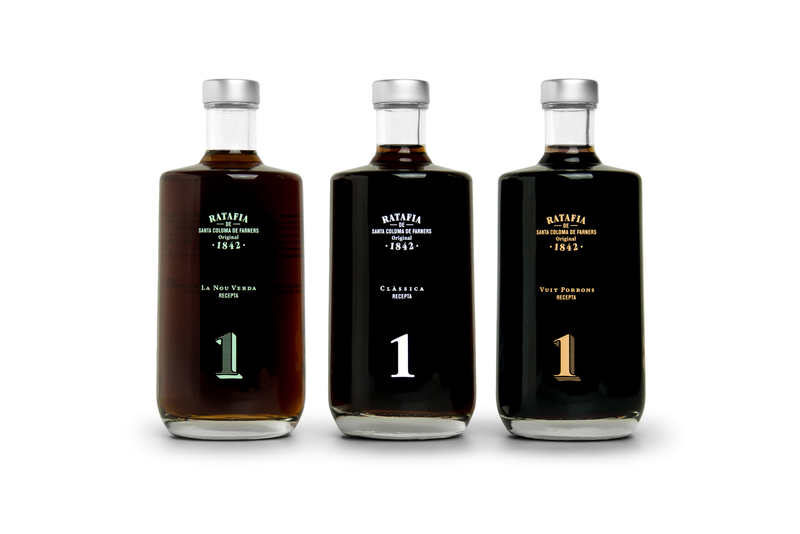 When there is only one bottle, the front (“1” number) shows the value to be the first one. 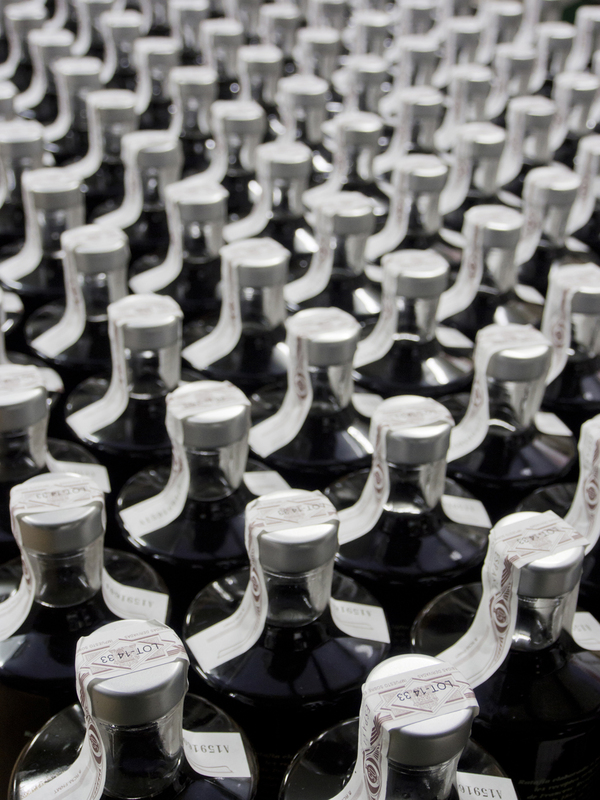 A new smaller bottle with screw cap and one ink serigraphy are chosen to keep costs. 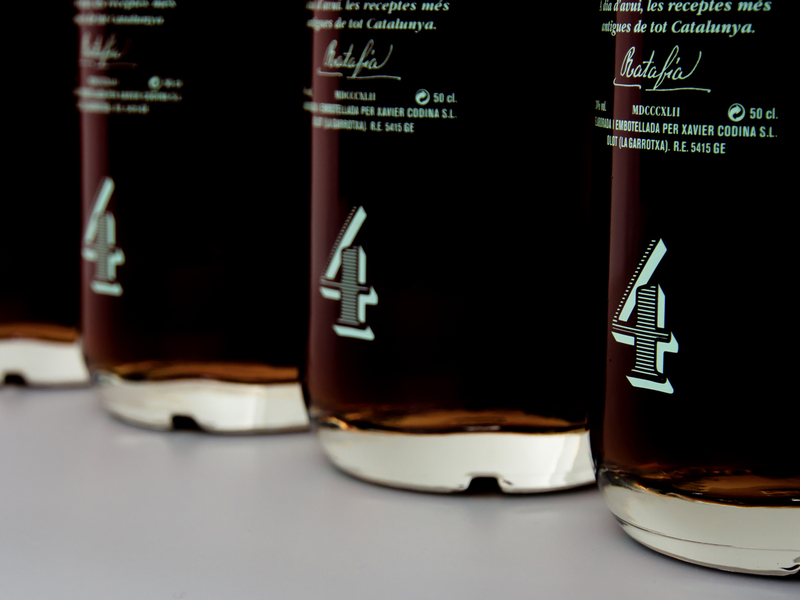 Each model have different colors and typographic details. 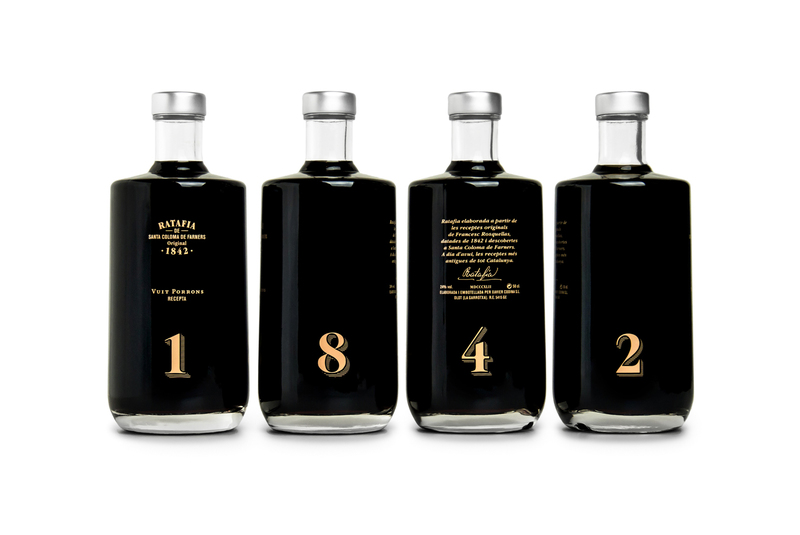 The Green Walnut and Eight "Porrons" recipes are a limited edition of 700 bottles each one for the Santa Coloma de Farners Ratafia's Festival, and were sold out with two days. That's the result of be involved in all phases of the project and to go one step further of the initial briefing. The product differentiation (ancient recipes from 1842) becomes the main graphic element of this packaging project. The concept emphasizes it and allows to work at the same time alone (one bottle) or with a line product (four bottles).